Heather Herdman received her MS & PhD in nursing from Boston College, and her BSN from the University of South Carolina (Columbia). She is also a licensed massage therapist and clinical aromatherapist, and has lectured nationally on wellness and integrative health care. She has published numerous papers on clinical reasoning in nursing, and has experience as a Chief Strategic Officer of a medical technology company, and as a health care administrator in strategic planning and quality arenas. 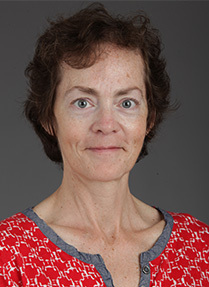 Her teaching and research interests include health promotion, integrative health care, clinical reasoning, diagnostic reasoning and cultural competence in health care.